Looking at all that has been accomplished since our first visit in 2012, I am humbled!! We were so inspired by meeting Clamian, meeting the Mamas, our safari and the beautiful people, animals and landscapes of Tanzania that I came home knowing that this trip was so much more than ticking one more item off my "bucket list." I had to go back! I wanted to help in some way and we had the support of our Spiritual Community, The Centre for Inspired Living in Victoria, BC. None of this would have gotten off the ground without their unconditional support. We started by asking the Maasai, through our friend Clamian, how we could help them. It took a couple of weeks for them to discuss this, because needs are great and resources non existent; there were big choices to be made. They considered a medical clinic, water and a school -- all basic services that we take for granted but missing in the lives of these people. They decided that education for their children was their #1 priority. This was a goal that was totally in alignment for our Victoria group and we overwhelmingly agreed to help them. This was a Maasai community driven project right from the beginning! The first thing the Maasai village asked for was a brick maker. We raised $1200, they bought the brick maker and started making bricks for the first school classroom in late 2012. We held 2 more fundraising events and raised enough money to build the small school. In May of 2013 a group of 14 people from the Centre went to Tanzania to join the Maasai in "Raising the Roof" on the school. It was life changing for the Maasai people and for us!! One of the participants from this first group raised money and led an initiative to pipe water about 5km to the community -- a game-changer! Another participant built a retail shop for the Mamas to sell their beautiful beadwork. 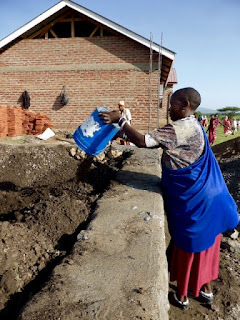 Two more women from our group were instrumental in introducing Friends4Good to our village and two more classrooms were built, one of them by a group of volunteers from Victoria -- in 8 days!!! The mamas now have a second business; a sewing shop. Friends4Good generously donated money to start a pig farm, which now has over 40 pigs and will support the operation of the school by 2018. What's down the road? It's mind boggling to me sometimes. I Skype with Clamian about once a week; sows are birthing piglets, he's looking at a "poop to power" project to process the pig manure, the farm is being considered as a model farm for the region, water lines are being extended within the village. They need to build roads, acquire solar panels, build more classrooms, hire new teachers and enrol new students. 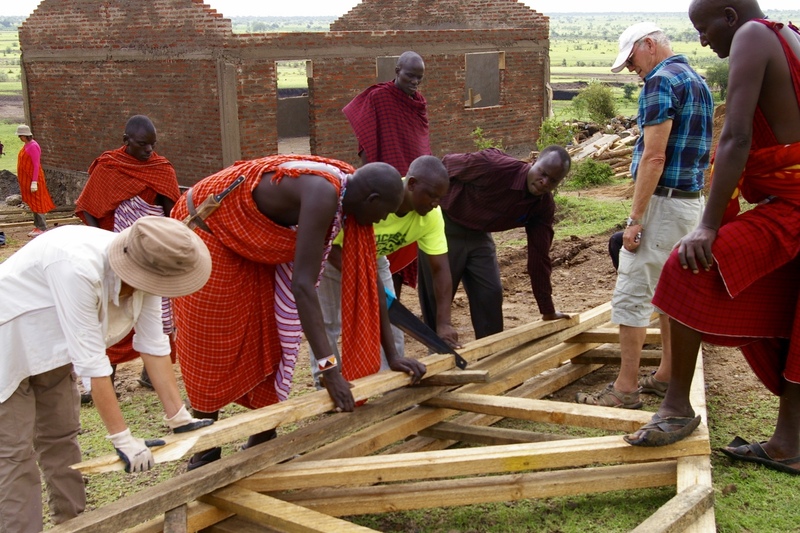 Maasai adults are learning new skills and being employed right in their own village. So much to do -- I wish I were independently wealthy, so we could just move forward! But I know we will find a way -- we always do!